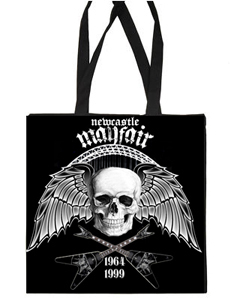 Get this amazing looking Retro Newcastle product Gents. This Blast from the past will impress your mates to no end!! 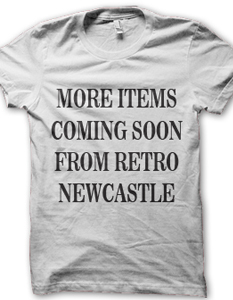 Get this amazing looking Retro Newcastle product Ladies. This Blast from the past will impress your friends to no end!! 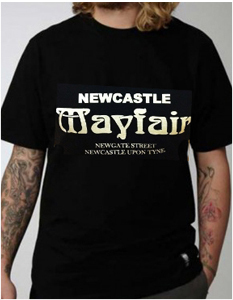 Remember Newcastle Mayfair? Then buy this beast of memorabilia and impress your friends! 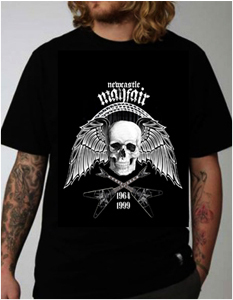 Make an impression wearing this Mayfair monster of rock design and make all your mates jealous with this great Printed Mens Tee! 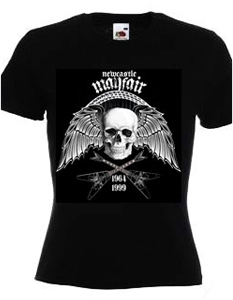 Make an impression wearing this Mayfair monster of rock design and make all your mates jealous with this great Printed Ladies Tee! 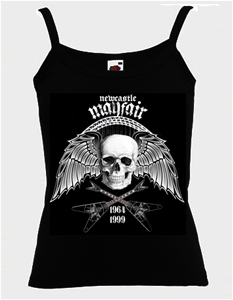 Make an impression wearing this Mayfair monster of rock design and make all your mates jealous with this great Printed Strap Vest! 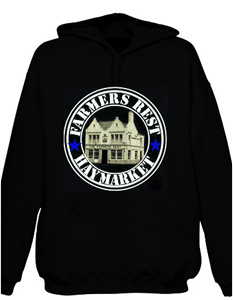 Remember the Farmer's Rest? 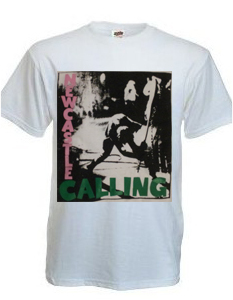 Bet your mates don't - Wear this great Printed Mens T-Shirt with pride and jog their memories!!! 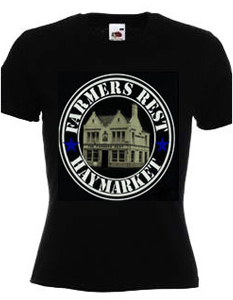 Remember the Farmer's Rest? 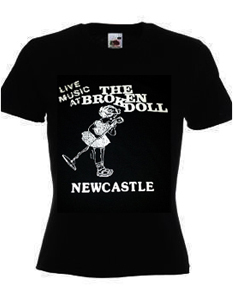 Bet your mates don't - Wear this great Printed Ladies T-Shirt with pride and jog their memories!!! 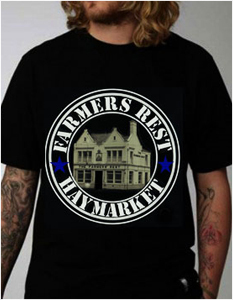 Remember the Farmer's Rest? 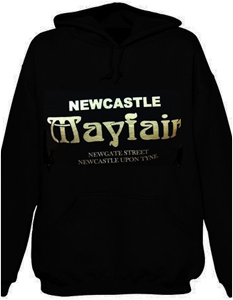 Bet your mates don't - Wear this great Printed Standard Fit Hoodie with pride and jog their memories!!! Remember the Farmer's Rest? 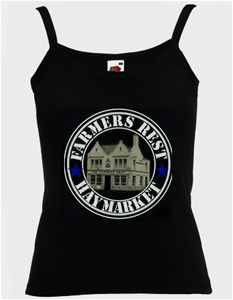 Bet your mates don't - Wear this great Printed Ladies Strap - Vest with pride and jog their memories!!! The Iconic image of The Clash can't be mistaken folks! 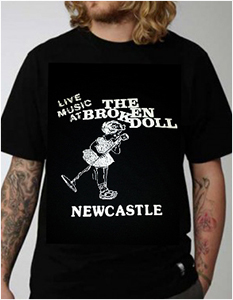 Even better that it has 'Newcastle Calling' on there! Dress to impress wearing this!! 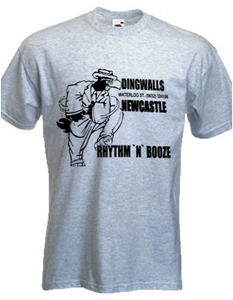 The Rhythm 'n' Booze of Dingwalls Newcastle! A great Printed Design on Heather Grey T-Shirts! This is a '78 classic that's hard to come by folks! 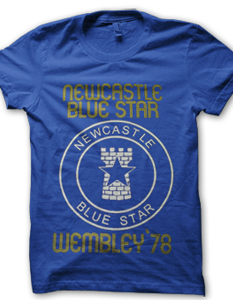 A great looking 2 colour print on Blue T-Shirts! PLEASE CHECK BACK HERE ALL THE TIME FOLKS AS WE HAVE MORE AND MORE PRODUCTS COMING SOON! YOU CAN'T GET THESE RETRO ITEMS ANYWHERE ELSE!! !